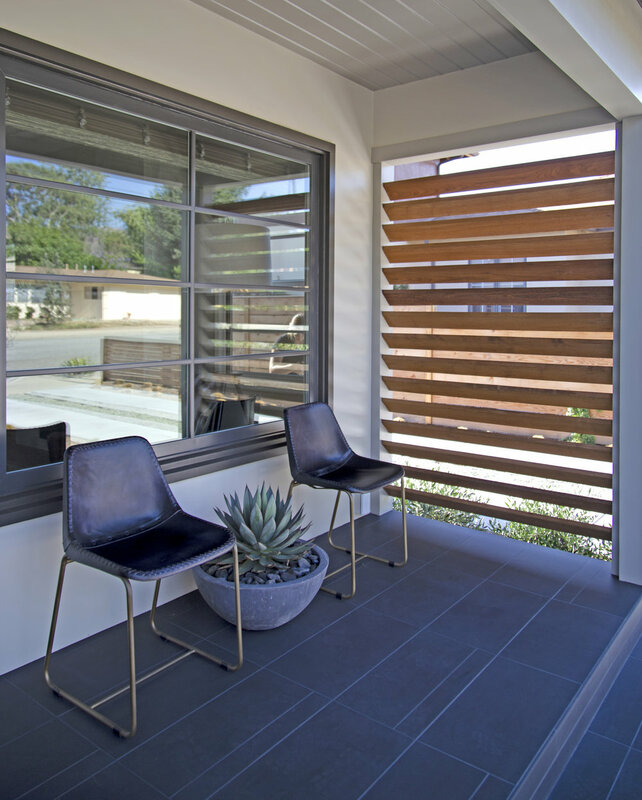 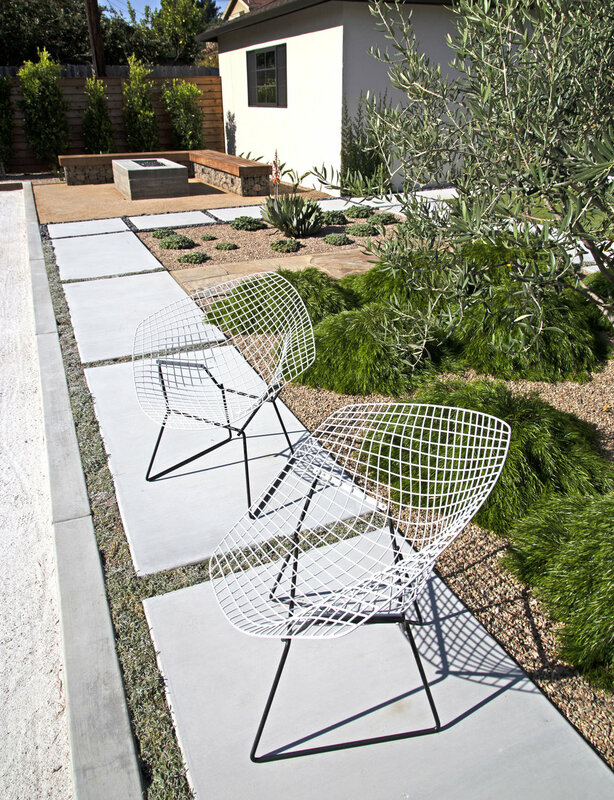 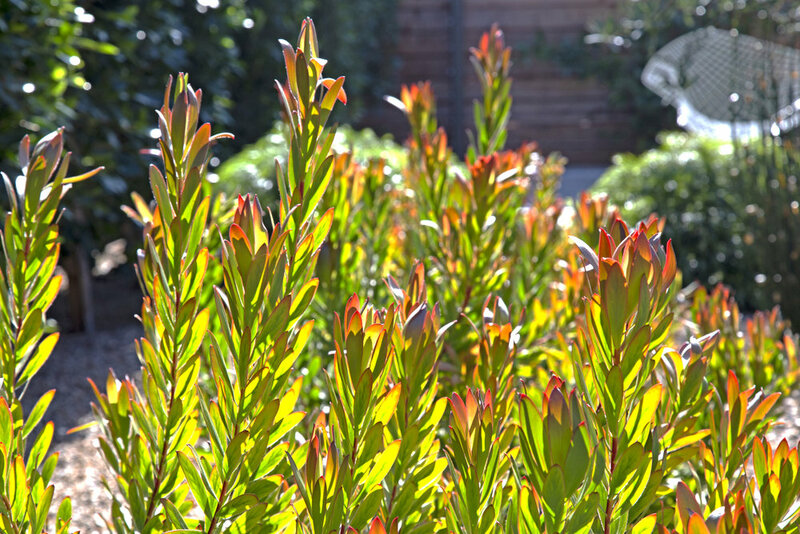 A full renovation of the outdoor space around this recently updated 1950's home in San Luis Obispo, CA resulted in a beautiful, functional and modern outdoor living space with tons of curb appeal. 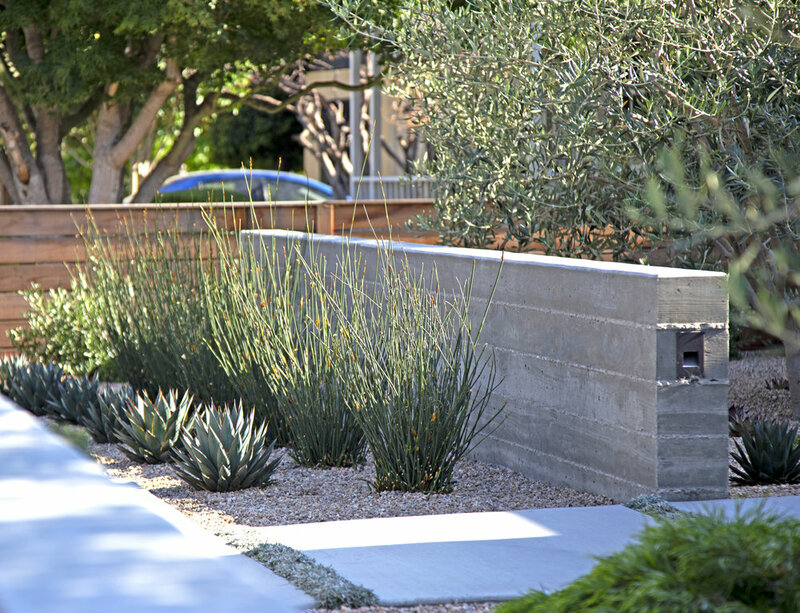 In the front yard, two offset board-form finish concrete walls border the staggered concrete slab walkway, softened and screened with two fruitless olive trees. 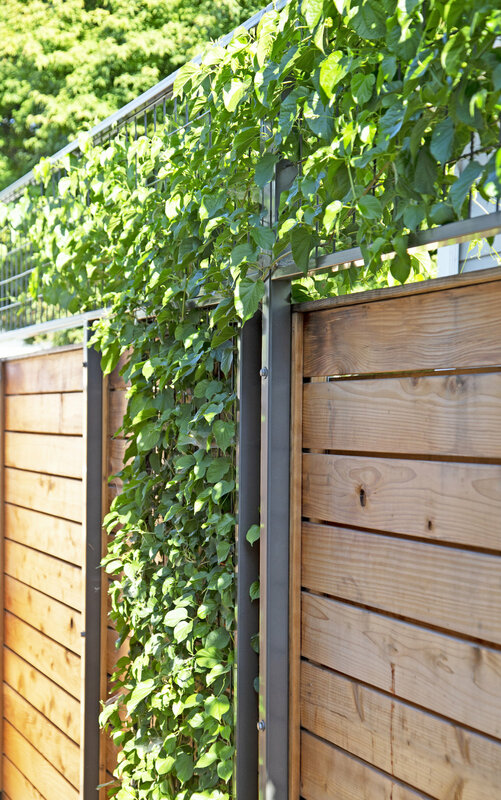 Horizontal board redwood fences border the front yard at a 3' height, and increase up to 6' in the side yards and backyard. 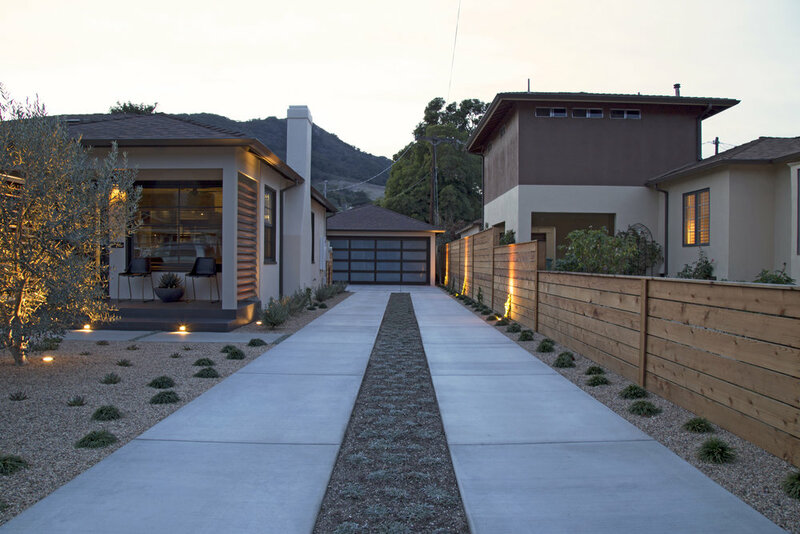 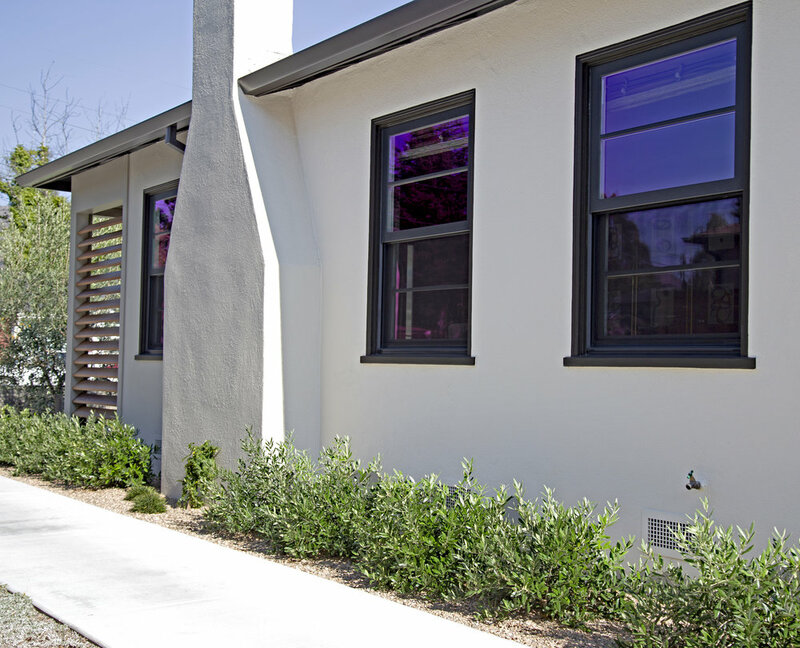 The concrete driveway strips were replaced to compliment the new garage door, and in the opposite side yard steel screening trellises were installed and planted for added privacy. 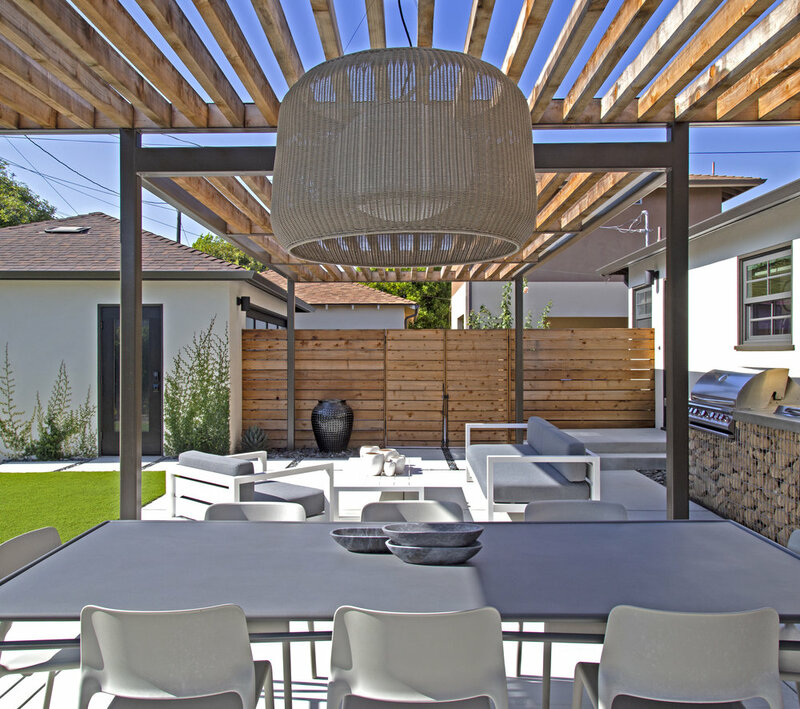 The backyard includes a new concrete patio, a custom gabion cage BBQ island, and steel and wood slat pergola over the outdoor dining and lounge area, synthetic turf, natural stone walkways, a decomposed granite fire pit patio with built-in gabion bench seating, concrete slab walkways with Mexican pebble joints, a concrete and wood-framed bocce ball court, and a steel trellis system supporting citrus espaliers. 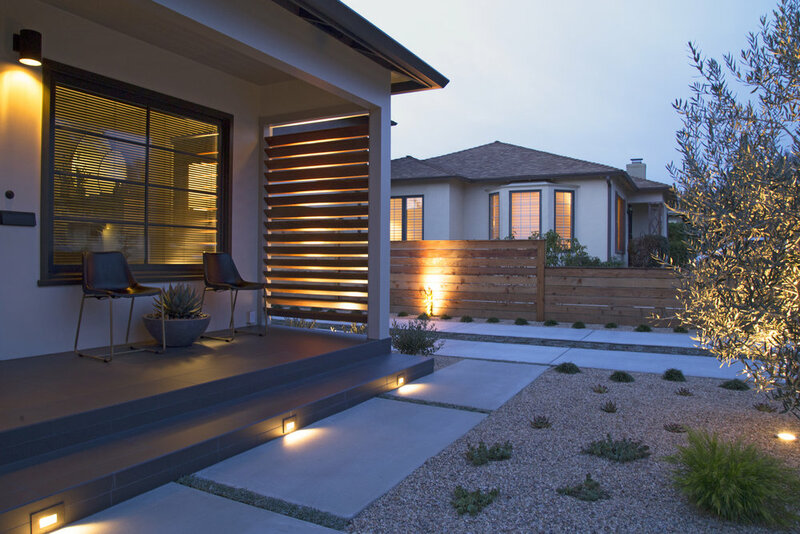 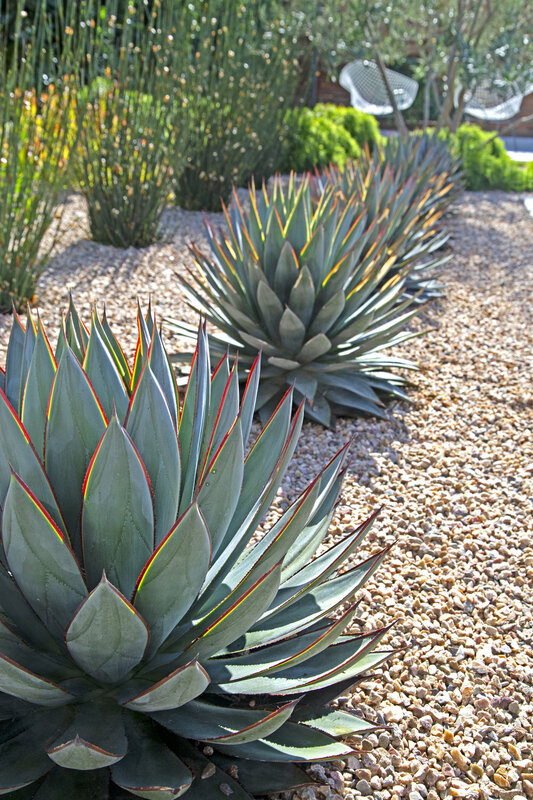 Geometric planting arrangements throughout the front and backyard add to the clean and contemporary aesthetic, and a low-voltage lighting system illuminates the entire space in the evenings.